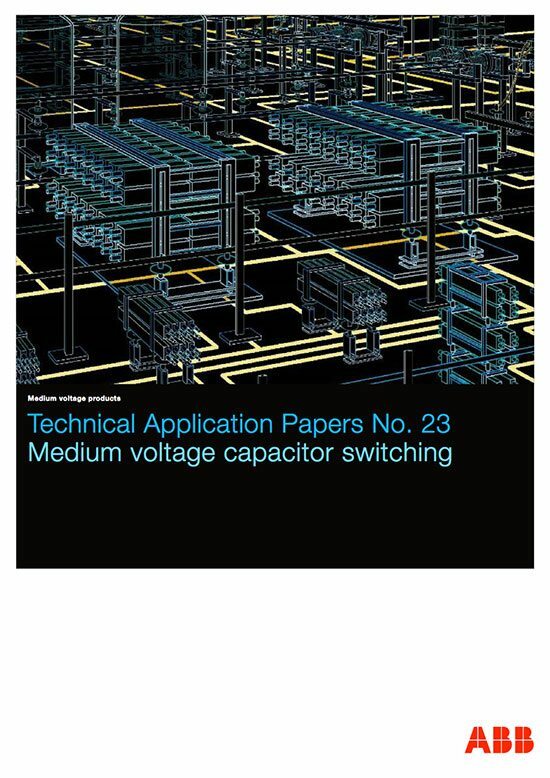 The energy associated with re-striking due to capacitor bank switching must be assessed with the greatest care. 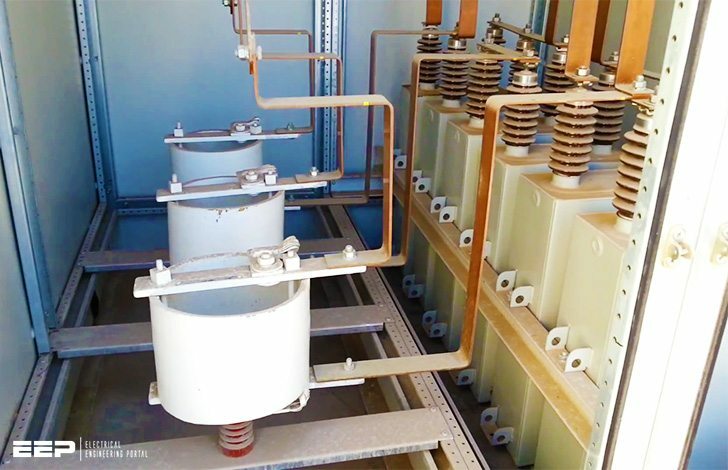 Although rare, restriking can be a challenging task, especially for surge arresters installed near the capacitor banks. 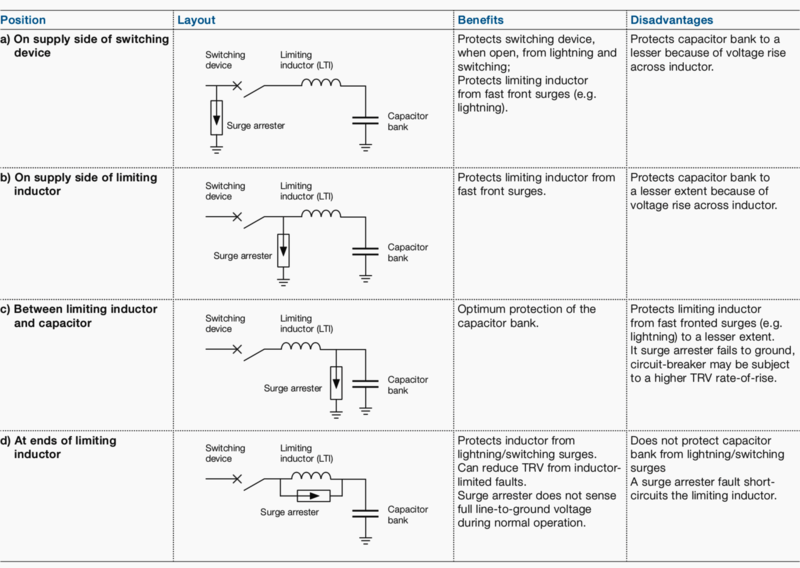 In actual fact, surge arresters installed even further away, including low voltage ones, can be affected in the case of multiple restriking events. The energy that affects the surge arrester depends on the capacitance of the capacitor bank owing to the charge stored in the bank itself. The effect of this is to increase overvoltage oscillation amplitude the instant restriking occurs. Annex G.2, standard IEEE Std C62.22-2009 “IEEE Guide for the Application of Metal-Oxide Surge Arresters for Alternating-Current Systems”, provides a method for calculating the energy dissipated by the surge arrester in this situation. Suppos that the transient overvoltage due to circuit breaker restriking during the opening operation of a capacitor bank reaches 3 p.u. and that the discharge voltage of a typical surge arrester installed on the bank or in its immediate vicinity is about 2 p.u.. This means that there will be no problems from an energy aspect if an ABB MWD surge arrester is installed, since its energy has been tested in accordance with Standard IEC 60099-4 and is 5.5 kJ/kV. The benefits and disadvantages of each installation, which must be preceded by research for the purpose of coordinating the insulation of the system, are outlined in above table.